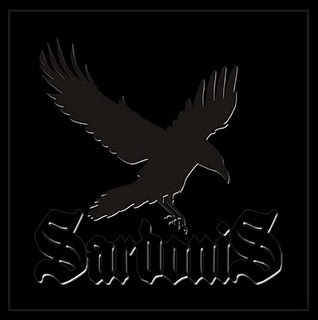 The Belgium instrumental DOOM band Sardonis has arrived with their first full length record. This one features 9 tracks in 37 minutes. The sound is massive and huge as it should be and the riffs heavy and downtuned. Not a single guitar solo in sight but a lot of cool riffs. The band really mix up the record with some faster paced tracks as well. One must also remember this band is a duo, so they have no bass player and solos really would leave the sound bare, so I have a bit of an understanding. While the band do not really present anything new to the genre of DOOM, they do lay down some solid tracks that if you like DOOM and crank this up, you can't avoid being sucked in! Enjoy.